Tennessee is a state rich with folk traditions. By studying oral history interviews and song recordings, we can learn a lot about how people lived during simpler times. From hog killings to sorghum making to wash days to building railroads and banjos, the old ways of life in our communities have been passed down from generation to generation. Fortunately, these traditions of the past are not lost - the Tennessee State Library & Archives holds a vast collection of material about them. Carol Roberts, conservation manager at the Library & Archives, will discuss these homespun traditions during the next event in our free lecture series. 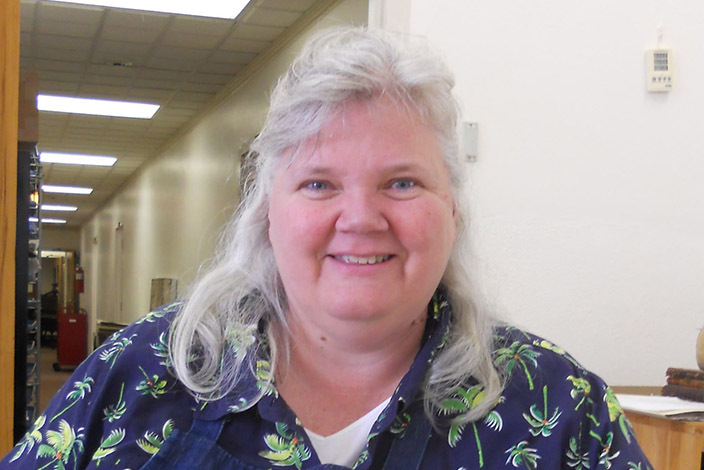 Her talk, titled "Preserving Tennessee Folkways: Highlights of the Folklife Collections of the Tennessee State Library & Archives," will be held in the Library & Archives auditorium July 30 from 9:30 a.m. until 11 a.m. Her presentation will highlight collections that document “Tennessee folklife,” including the Tennessee State Parks Folklife Collection, the Zilphia Horton Folk Music Collection, the Highlander Collection, Tennessee Folklore Society Bulletins and Sound Recordings and interviews, captured on reel to reel and cassette tape, which help tell the stories of Tennessee's rural communities. As conservation manager at the Library & Archives, Roberts oversees preservation work in the conservation lab and assists with programs to preserve historic records housed in the Library & Archives and in individual counties throughout the state. She's charged with the care and preservation of the state’s historic governmental documents, maps, books, photographs and many other types of media. She also actively participates in outreach programs, presentations and consultation projects throughout the state to educate others about preservation of archival and library materials. "Tennessee's culture is tied to its many traditions, some of which date back decades or even centuries," Secretary of State Tre Hargett said. "Ms. Roberts' talk will share some examples from the vast trove of information we have detailing these traditions. I encourage people living in or around the Nashville area to attend this workshop if they can." The Library & Archives is located at 403 Seventh Avenue North, just west of the State Capitol in downtown Nashville. Free parking is available around the building.